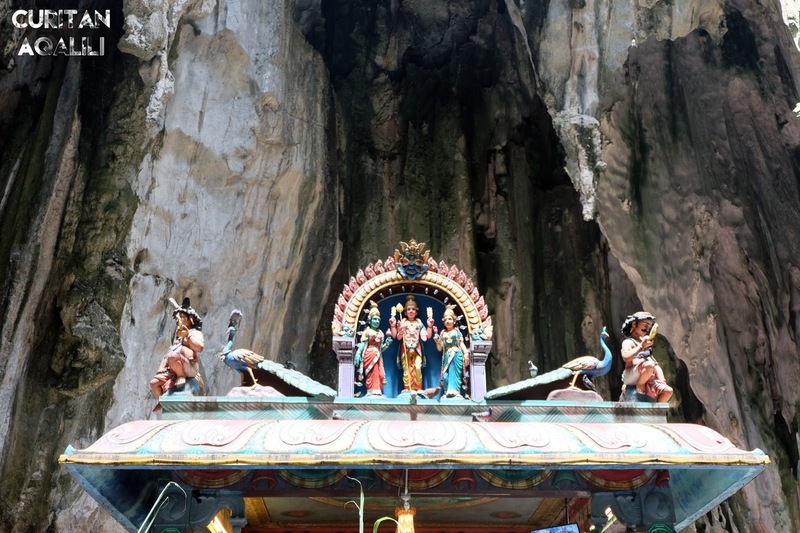 On 9th February 201, almost 24 years living near to Batu Caves, this year we decided to experienced an important celebration from one of the Malaysia ethnic, which is the Indians. Malaysia is well know for it various ethnicity, and I wanted to tell you about one of them. The history behind this population started in the late 19th and early 20th centuries. Many of the Indians came to work as labourers on rubber plantation, while those were English-educated occupied more professional positions. 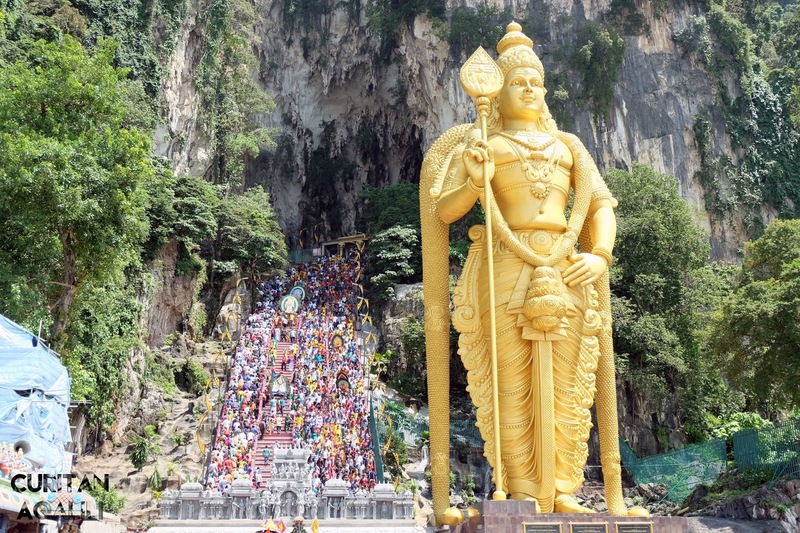 An estimated 9% of the total population of Malaysian, almost 89% of them are practicing Hinduism. 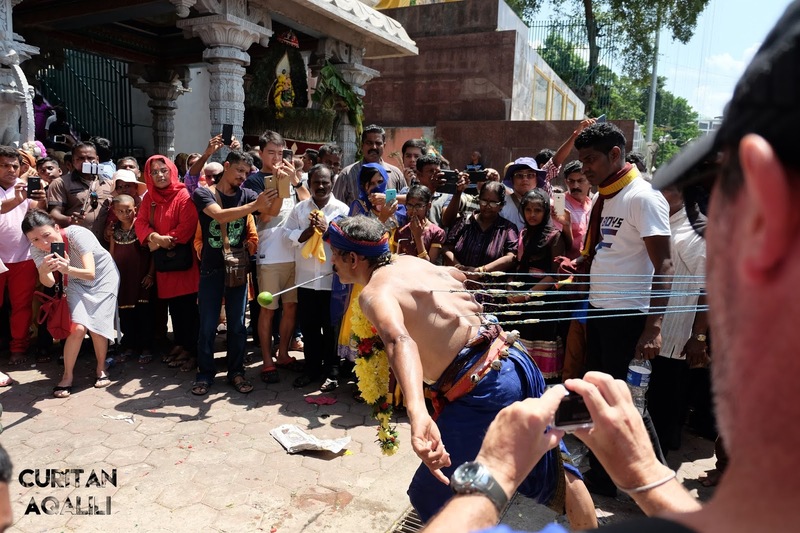 Therefore, every year they will celebrate some of the major Hindu festivals include Deepavali and Thaipusam. 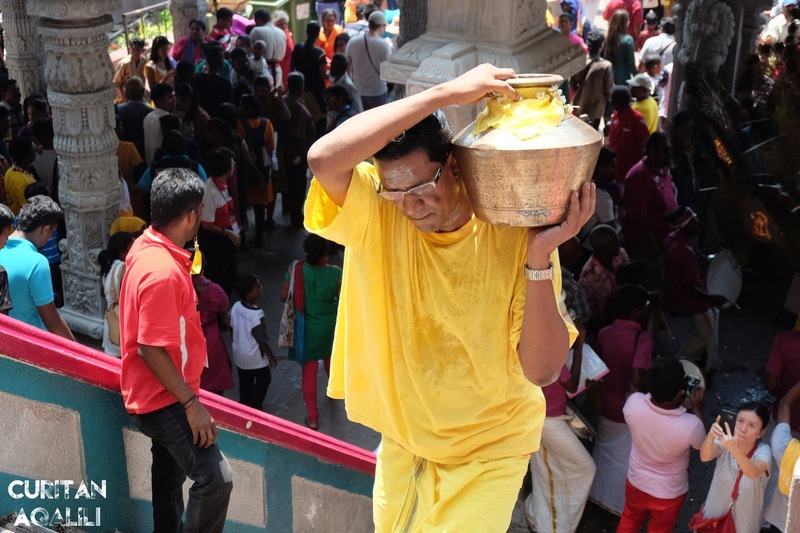 Thaipusam is an important Hindu event based on the full moon day in the month of Thai (January/February) in the Hindu calendar. Therefore, its dedicated to the Hindu deity Lord Murugan (youngest son of Shiva and his wife, Parvati). I see there are few people climbing the 272 stairs barefoot, carrying a gold pot onto their head and many more. 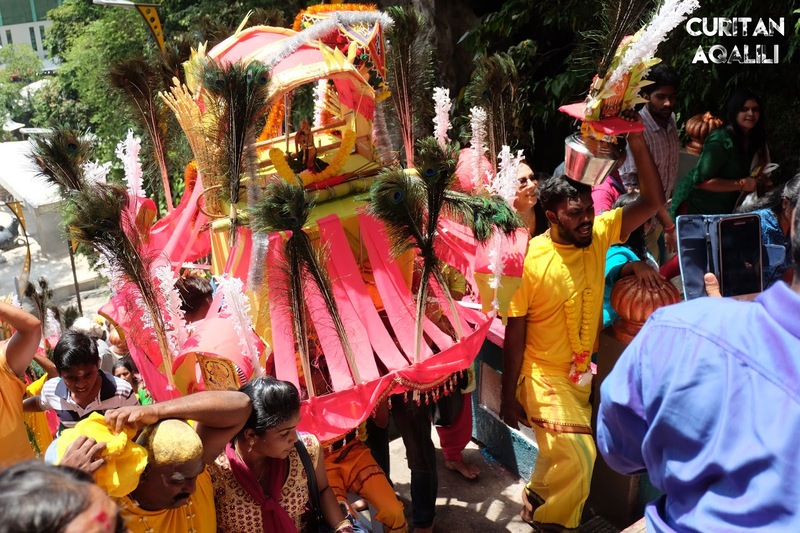 Through a lot of readings, all of this carrying things is called as Kavadi. 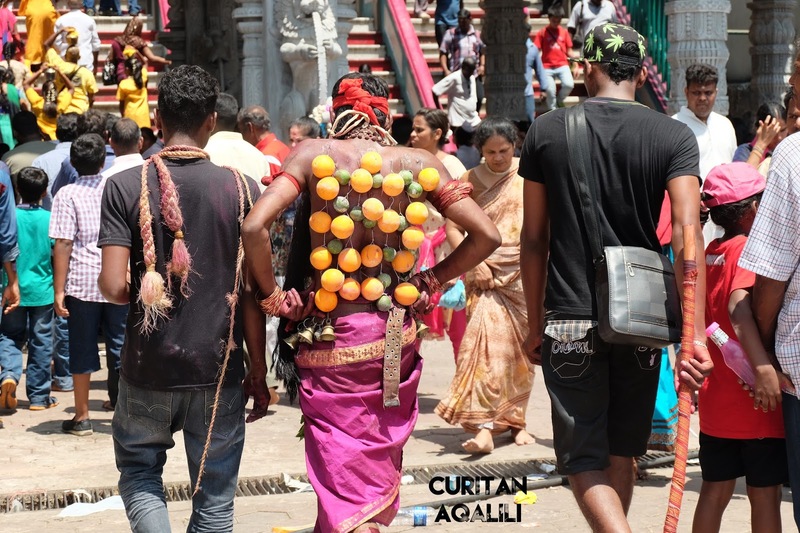 The word Kavadi itself derived from 'Kaayu' and 'tadi' which means a pole to carry things, and it comes with various shapes, sizes and colours. This first time of Kavadi is when small hooks pierced into the skin, and carrying either a small pots of milk, or fruits like in the picture. When I'm at Batu Caves, I always saw people carrying a pot like this on their head. It hit me with a curiosity, what is inside there, and I guess maybe its a milk. Thankfully, its correct, and yeap usually it was filled with fresh cow's milk but these days, most Malaysian use milk purchased at supermarket. Some of them wearing saffron coloured cotton clothes, while others dress in regular Indian costumes. Enourmous, this kavadi can take up to two meters tall and its decorated either with peacock feathers or carved polystrene. The devotee need to carry this while climb the stairs. 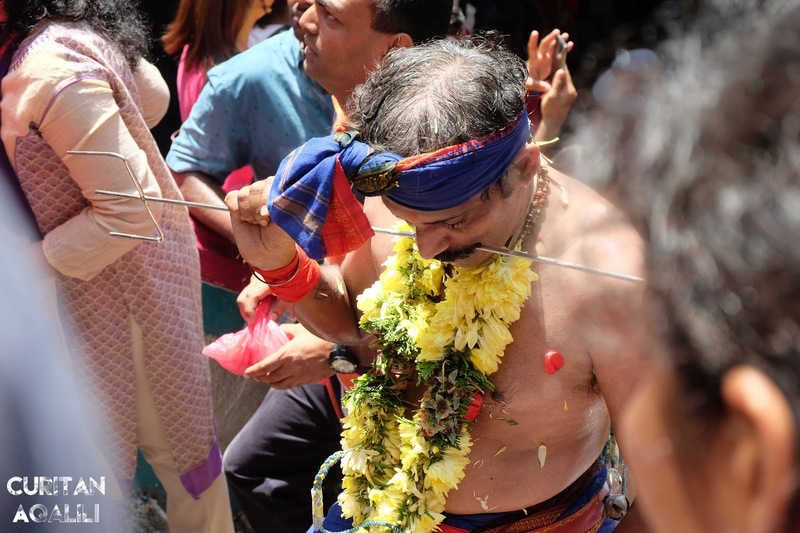 Some of them just carrying the kavadi, but there are also carrying kavadi and wearing a piercing onto the cheeks or tongue, which lead us to this next type of kavadi. This is my favourite photo on that day. I can feel the hotness, and the burden that this guy carrying and there he is, still smiling and ready to achieved something which that they vowed. This are few types of kavadi that I captured during our trip at Batu Caves, but I am keen to show you a journey of this one guy. 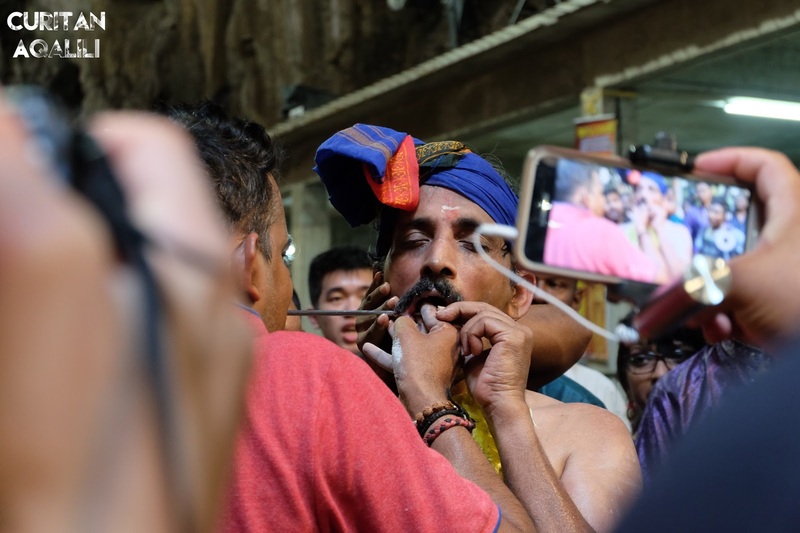 The moment we saw him before climbing Batu Caves, until he arrived and open the piercing at the temple. 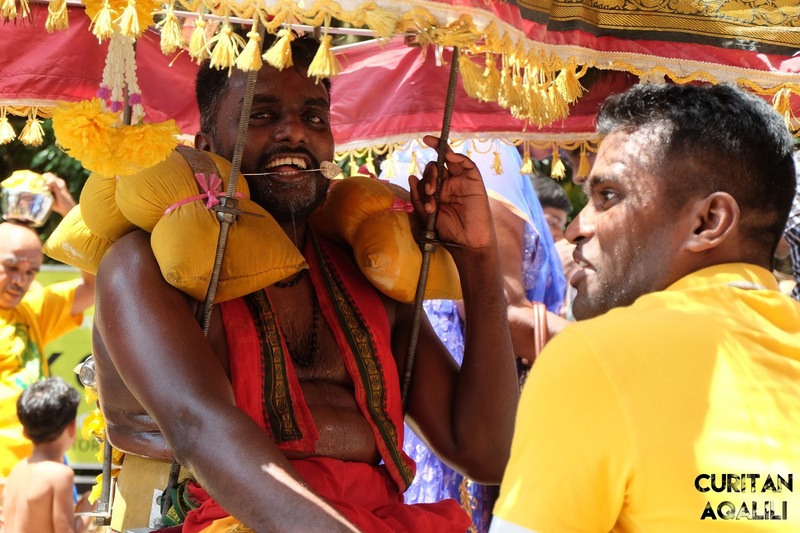 Before I ended this post, I discover a great video about Thaipusam, and it was made by R:AGE last year. I think by watching this video, you guys can understand the journey and sacrifices that they made during the celebration. I hope you guys spare some time and watched this video. That's it for now and see you on my next post! I've always wanted to see this but haven't had the change to hit up the region yet! Sounds like fun!